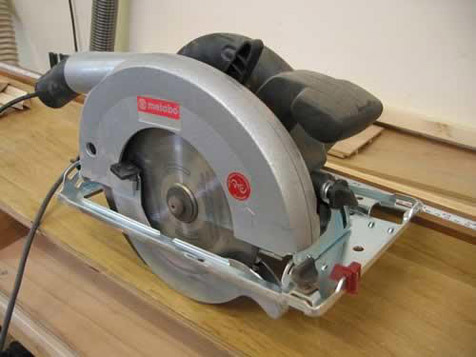 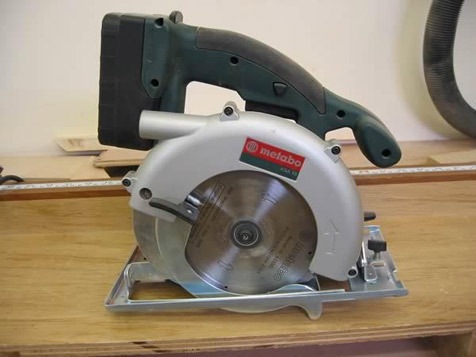 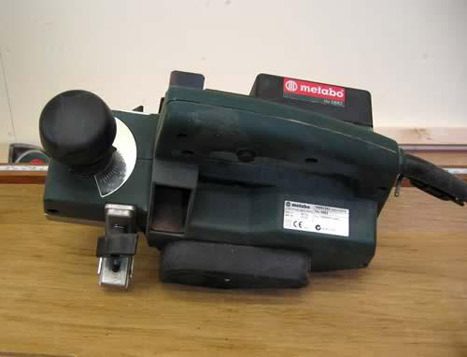 Notes: A good quality circular saw is a must have for your workshop - Used properly this tool can cover almost all your sawing tasks - Even if you don't have a Table Saw, with a straight edge guide and an acurate saw like this you can achive fantastic results - Check out Metabo's website for the specs. 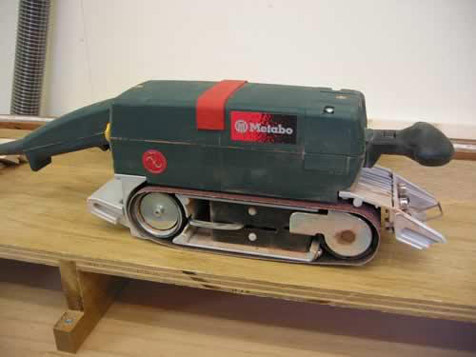 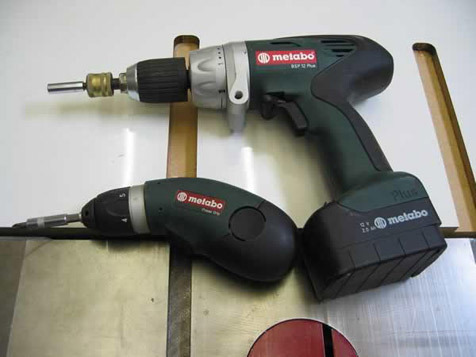 Metabo are one of our major sponsors and their range of hand power tools are the tools chosen by professionals. 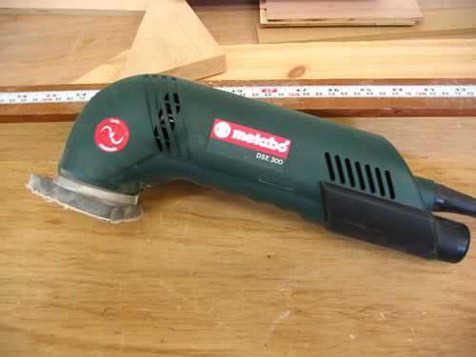 The people who installed our dust extraction system in the workshop use the same tools we use in the shop. 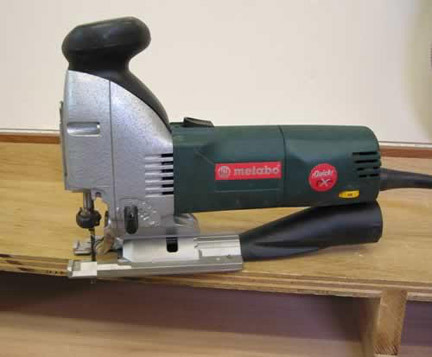 The cordless drill he had had been dropped from the second story of a building, abused something rotten during site work and it never missed a beat. 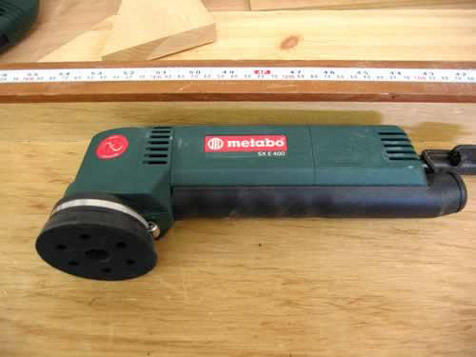 The battery life on these tools is terrific and with plenty of power you'll find you almost never reach for a 240v tool again. 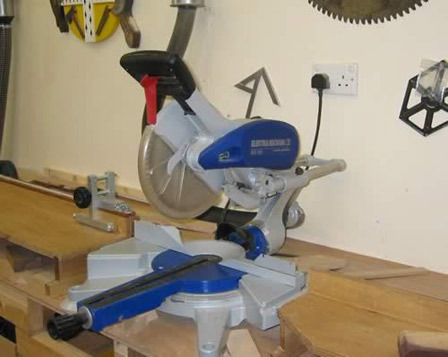 Visit their website by clicking on the icon above for more info or to see the tools used on The Great British Woodshop check out the photos opposite.